“Mi casa es su casa”. We had this warm and heartfelt invitation of “my house is your house” extended to us during our recent visit to San Miguel de Allende in Mexico. In our particular case, our new friends Ricardo and Laura shared their pride in their home and family. Despite our differences in culture, age and ethnicity, we found much in common. Most importantly, we are all striving for peace, in our own lives, our homes, our country and the world. Our experience in Mexico reminds me of our Rotary theme of Peace and conflict resolution. Peace starts in our homes and spreads. If one has had the privilege of sharing another’s culture, customs and perspectives, it is the first and most important step towards peace. Visiting and talking with our Mexican friends enabled us to see them as unique and valuable citizens of the world. It becomes extremely difficult to apply stereotypical conclusions to a culture when you have shared a meal and conversation. It was challenging to hear some people, who were holidaying in that beautiful country, to generalize the population in less than positive terms. I also heard some disparaging comments about immigrants who may have other religious beliefs or customs. Such attitudes and conclusions are not conducive to peace or conflict resolution. As Rotarians, we are citizens of the world. The diversity and breadth of the many projects we are involved in, help to increase our awareness and understanding of other cultures. Through our Rotary friends around the world, we know that the work we do brings about the building of peace and unity. I would encourage all of you to seek out new Rotary friends at our District Conference in Pictou and/ or our International Conference in Hamburg. The sharing of conversation brings understanding and that understanding leads to peace. It has been years since there has been a District Conference held in Northern Nova Scotia and the various clubs here are working hard to ensure that you have an experience that combines learning with fun! We have a line-up of inspirational speakers as well as an opportunity to hear the best music that Pictou County has to offer. For those of you bringing your partner, we have a program planned for Saturday which will include the discovery of the hidden gems of Pictou, including a firsthand look at the living conditions experienced by the 200 plus folks on the ship Hector upon its arrival in Pictou in 1793. I invite each and every one of you to be INSPIRED as to how you can S.H.A.P.E. 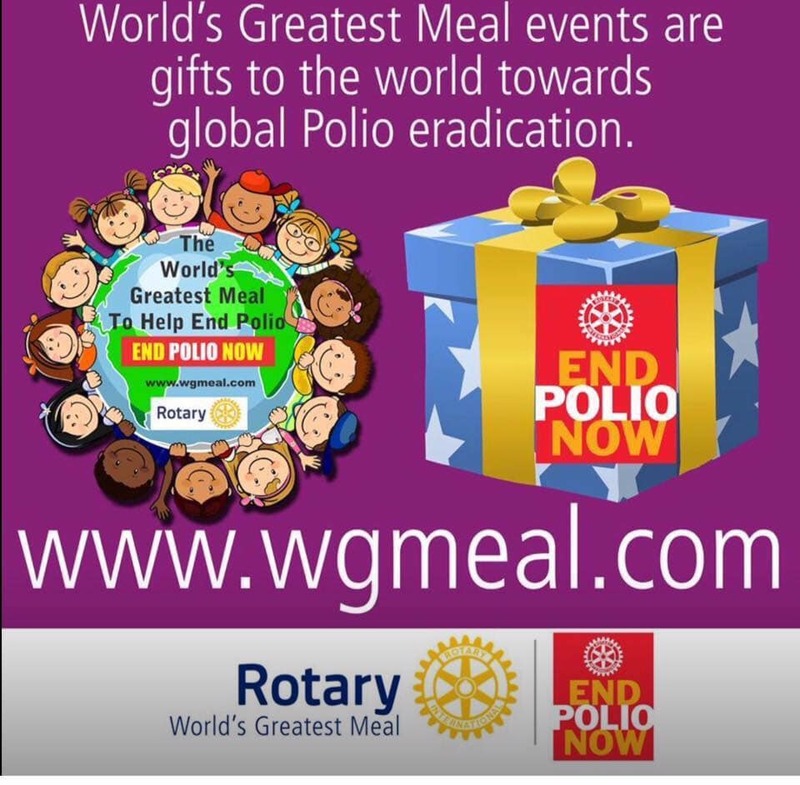 your Rotary world to truly make a difference in the lives of people in our communities and across the world. We can do this though Strengthening our clubs…providing Humanitarian Service…being Aware of Indigenous issues….increasing our Public Image and finally providing leadership in Environmental Stewardship. We have blocked out 150 hotel rooms in the immediate vicinity of the Wellness Centre and will be offering free bus transportation to and from the hotels in case you decide not to walk or drive. There is plenty of parking available at the Wellness Centre. We look forward to seeing you in Pictou County this May! All three Parts of the program will be offered. The cutoff date for Registration is March 26th. Participants are responsible for their own hotel booking if needed. A special rate $129/night (+ tax) has been negotiated with the Hotel Wingate Dieppe if you are coming in on Friday evening for the RLI event. It is for a room with either two Queens or one King and includes a hot breakfast. The hotel website is http://hotelwingatedieppe.com/ . Make your reservations at the Wingate, 69 rue de Marche, Dieppe, NB E1A 9K3, Reservation: 1.844.854.8330. 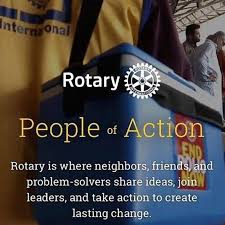 Mention the "Rotary Leadership Institute". The room block and guarantee will be held until March 4, 2019. 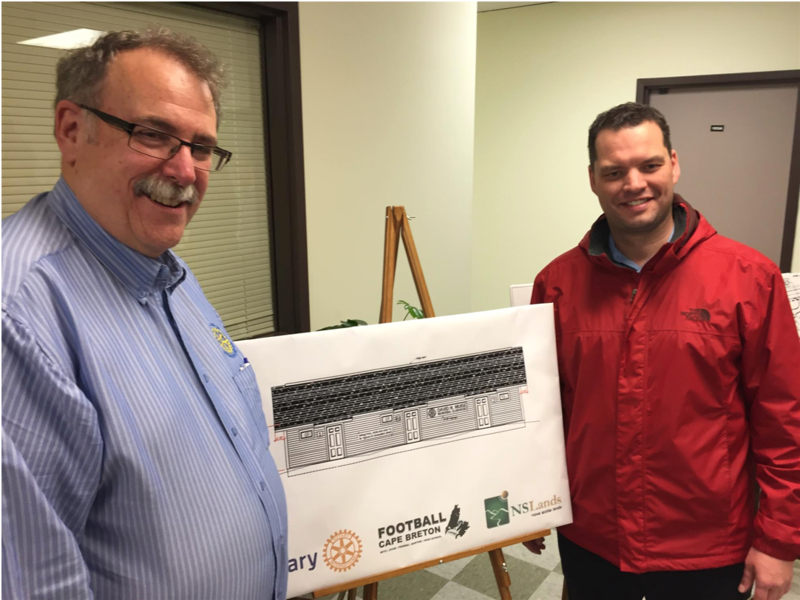 As part of the Rotary commitment, District 7820 has approved a District Grant of $2,400 to help specifically with the purchase and installation of the finish materials in the clubhouse including walls, ceilings, trim, lighting and bathroom fixtures. The work will be done in part by Rotary volunteers.